Wisdom of Life. : How do you feel when u are cheated? Would you feel angry, annoyed, upset, frustrated and painful in heart when someone had cheated you? Yes! Most would. One of my dear lady was devastated when she realised she was short changed for some currencies exchange with a recommended money changer in town. By the time she reached home in the night, on calculation she noticed she was short paid for a few hundred. The anger disturbed her entire sleep. I had a chance to speak to this lady lately, when i attempted to relieve her sorrowful heart. I offered her a question. If i was the one who had given you the cash in the first place and you were still being cheated, would you still be angry like now. Please ponder a moment! Remember the cash was from me. She took a deep breath. Yes! Though the money wasn't mine but because it was given to me, i would still be upset and unhappy over it. The pain might be less painful perhaps. Next question to her. Okay! If i could have given the money to an elderly monk and he too was cheated in the same manner like you.... Do you think he would be as angry and upset like you? My dear lady was speechless. She couldn't answer this unexpected question. Please allow me to answer. A young monk who has not experienced enough spiritual guidances and teaching might react like you. I believe an elderly monk who lives in simplicity needs no money to survive. He came with nothing, possess nothing and leaves the world without anything. Confronted with the similar situation, he would not be angry with himself or the person who had cheated him. Most likely he might take the experience as a learning process for his spiritual path and would not be angry with the other person either. He would try to forgive and forget. This is the highest point for achieving enlightment in oneself. The purpose of me writing this topic is to tell my dear lady, Yes! money is important but never let money be the root of all evils. We might not be as spiritual and pure like a highly noted monk but we could try to emulate some of their fine points of life. 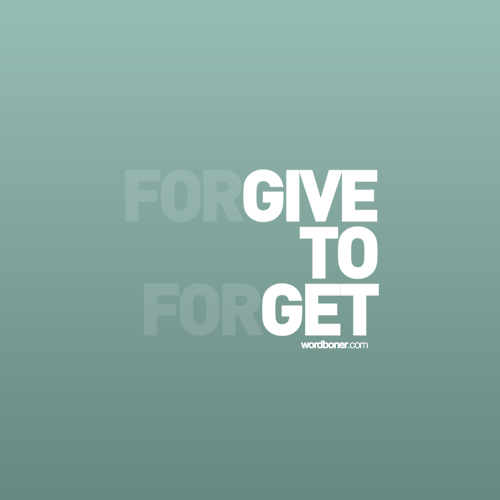 "Forgive and Forget" is the first step to be wiser, when your mind would feel lighter and the heart is more happier. This is what i called Wisdom of Life my dear.